New Choices Magazine chose Myrtle Trace as one of America’s top 20 retirement communities. This community of 518 homes was carved out of a pine forest, and the many tall pines still standing throughout the community are part of the charm and beauty of Myrtle Trace. The tall pines are complemented by fifteen small lakes scattered throughout the community. Almost half of the homes are situated on a lake and many others are situated near the Burning Ridge Golf Course or beautiful wooded areas. Rabbits, squirrels, ducks, fish, turtles, and many varieties of birds are among the wildlife "residents" who will be your neighbors at Myrtle Trace. RE/MAX Southern Shores real estate agents can find exactly the kind of property you are looking for at Myrtle Trace. Call RE/MAX Southern Shores today at 843-839-0200 to begin your home ownership search. The community was built in eight sections, or phases, with Phase I completed in early 1980s. The last section, Phase VIII, was completed in 2005. Except for eight townhouses, the homes are free-standing, one-level structures on lots of about 1/8 acre. 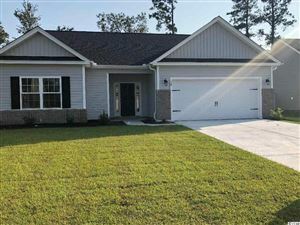 The homes are two and three bedrooms, ranging in price from $90,000 to $190,000, depending on the location and floor plan selected. Affordable housing options plus sidewalks on all streets make Myrtle Trace a great place to live. 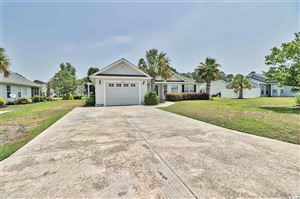 Come experience Myrtle Trace, an amazing community, with an experienced RE/MAX Southern Shores agent. You won’t be disappointed. Call RE/MAX Southern Shores today at 843-839-0200. RE/MAX Southern Shores is the #1 selling real estate agency on the Grand Strand. Our agents know the Myrtle Trace market and real estate trends for the entire Myrtle Beach area. Purchase your next home in sunny Myrtle Beach, South Carolina, and be on vacation year-round! One of our expert agents will partner with you to find the property that fits YOU perfectly. Call RE/MAX Southern Shores today at 843-839-0200 to begin your house hunting adventure.